Advertising in International Labmate, which is recognised as the leading analytical journal in this field, is easy and will provide the best online and printed platform for your laboratory products. Circulated throughout Europe, the Middle, and published 7 times a year for Scientists working in industrial, University, Hospital and Government Laboratories throughout Europe and the Middle East. What better solution is there for advertising and promoting your new lab product or service. Each issue contains information on the latest products available along with several problem-solving articles and Industrial News and Views. International Labmate is published 7 times a year in a tabloid (A3) format. Mailed to named buyers and decision makers with purchasing influence. "International Labmate has been our preferred publication for many years now. Its global circulation and combination of both print and online presence, advertisements and editorials, enable us to cater to the needs of our many subsidiaries and reach our broad base of customers in the laboratory sector. We have an excellent business relationship with the staff at International Labmate and greatly appreciate their flexibility and friendly support. International Labmate is the perfect choice for our global communications." " I’ve worked with International Labmate Ltd for many years now, leveraging both their print and online services to raise awareness and generate leads for our product portfolio. Their global circulation and wide audience profiles continue make them an attractive partner for reaching our customer base effectively and efficiently. I have always found their staff to be friendly, helpful and flexible which makes it a pleasure to do business with them." "Advertising in International Labmate helped us to reach our goal of serving our market better and being more visible to customers. We undoubtedly saw the rewards and benefits of using the publication to promote our products." "LMS Ltd have been advertising with International Labmate for many years now and we particularly enjoy the quality of the publications and the professionalism of the supporting team. Ensuring our product range reaches all quarters of the lab world is paramount and with the assistance of ILM we are confident of reaching the correct customer base." "We have been an advertiser with International Labmate for many years with much success in promoting our products. 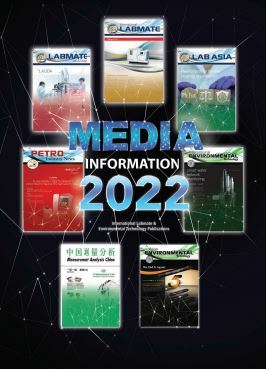 ILM is an all-encompassing Publication with a wide range of advertising platforms, International Labmate, Lab Asia, Measurement Analysis China, and the Buyer’s Guides print magazines, along with ILM On-Line magazine, eNewsletters and ebulletins, all very effective in promoting our wide range of products to the proper audience. International Labmate’s staff is extremely pleasant and helpful with ideas as to how we can better market our products, keeping us informed of new advertising opportunities." Marketing Department – NuAire, Inc.
"We appreciate International Labmate media, because they deliver our advertising messages to the right audience in a most efficient way"
"It is my pleasure to give a glowing recommendation to International Environmental Technology. Each industry has its own set of idiosyncrasies and being a newbie I knew I would have to learn each and every one. However, dealing with International Labmate Ltd., was a pleasure. I was treated like I was the only customer. The staff were efficient and went above and beyond to respond to each of my inquires in a timely fashion. To put it simply I was amazed. My past experiences with other publishers had been just the opposite. I attributed it to being one of those things I would have to get used to. But after dealing with Labmate I now know that is simply not the case. If you want customer service with a smile and knowledgeable staff who will go above and beyond you need to get in touch with International Labmate Ltd."
"Dragon Lab Ltd was founded in 1992 in Beijing. We are a professional manufacturer of high quality laboratory instruments our product range includes liquid handling, electronic pipettes, centrifuges, stirrers and evaporators. We have been advertising our products in International Labmate and LabAsia on a regular basis since 2008 in order to find international distributors and promote the image of our company outside of China. We now sell our products all around the world and are very happy working with and placing advertising in International Labmate and LabAsia magazines. " For more information or if you have a question, please call and speak to one of our team to discuss your requirements.